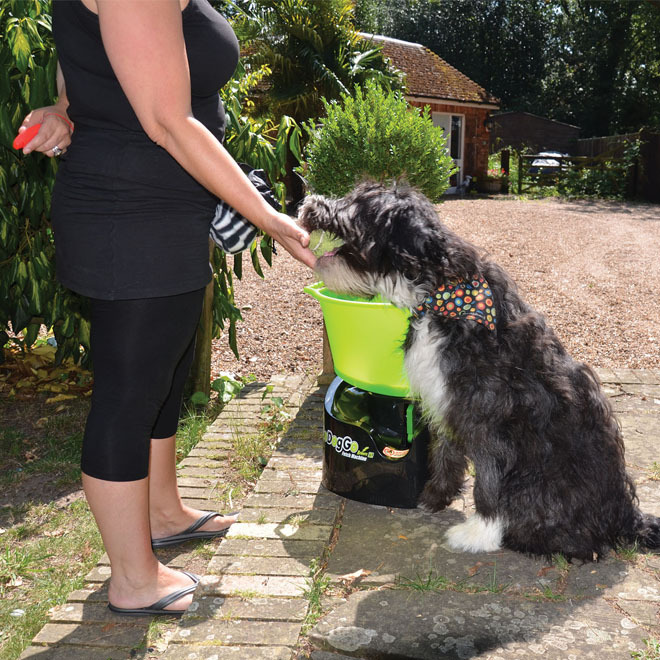 Dogs Today Magazine and Dog Training Specialist Kirsten Dillon have been busy testing training gadgets for our canine friends. “Probably one of the best perks of this job is testing out new gadgets! 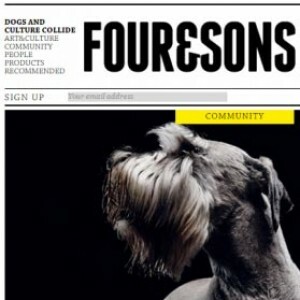 When BBC’s The One Show asked if we knew of any new doggie tech, we jumped at the chance! 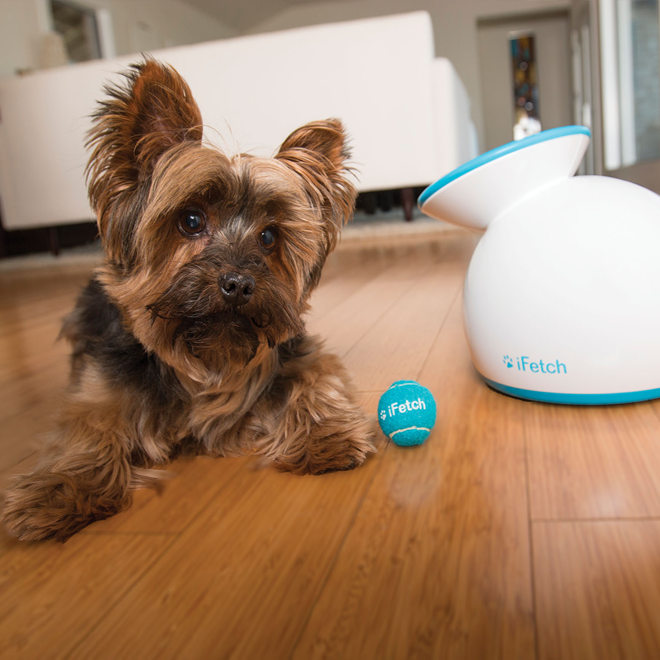 First up is the, iFetch. I experienced tech-lust as soon as I saw the YouTube video of a cute Dachshund playing iFetch indoors on his own. The dog was fetching the balls and dropping them back into the top to go again and again. Logically, I should not have assumed that this was a Jumbo sausage dog and that the balls were real tennis balls, but it was still somehow a surprise when I opened the box and everything was tiny! I whimpered and passed it on to trainer Kirsten Dillon to try with her French Bulldog, Louie. The good news is a full-size version is due at the end of the summer. 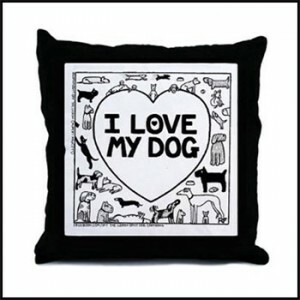 This invention was very quickly crowd funded in the US, more and more doggie tech is born this way! Some still at prototype stage weren’t yet ready for us to play with this month. Watch this space for news! 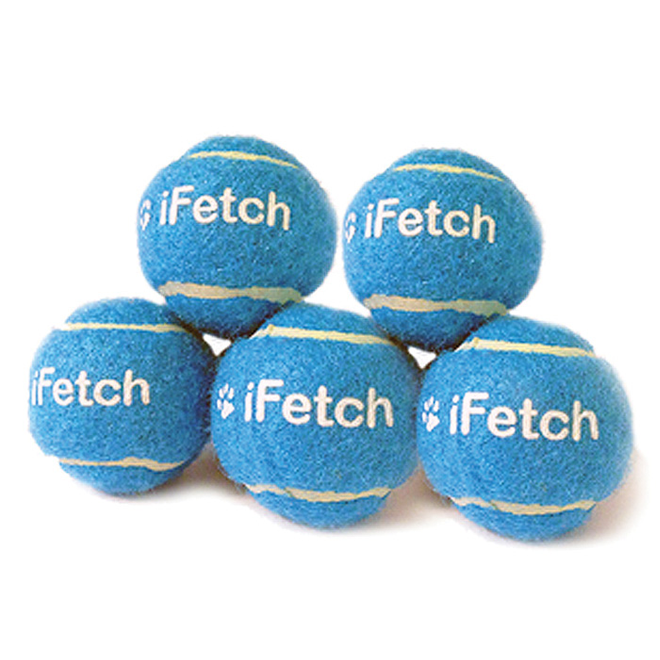 Because the balls that fit the iFetch are only 4cm across, there are obvious dangers to consider when playing retrieve games and I would never leave any dog unattended, especially those athletes that can catch in mid-air! I would hate to see a dog trained to use the machine and left alone – firstly, because there is no substitute for interactive training and play between a dog and his human family, but also because compulsive ball play can be detrimental to any dog’s mental well-being. Owners should oversee every stage of the game to ensure obsessive behaviours don’t develop. Still recovering from the sadness of not being able to use the iFetch on my dogs, I sourced something called GoDogGo – and we’ve fallen in love with it! I am still trying to train the dogs to put the balls back in the bucket, but the way it fires the balls seems to get everyone excited. It can take lots of balls at a time and the hand-held remote means you can decide when to press the button or set it to fire at intervals. You can change the distance it fires to and there’s a special sensor to stop it firing if anything gets right in front of the machine. It takes six size D batteries or can plug into the mains. 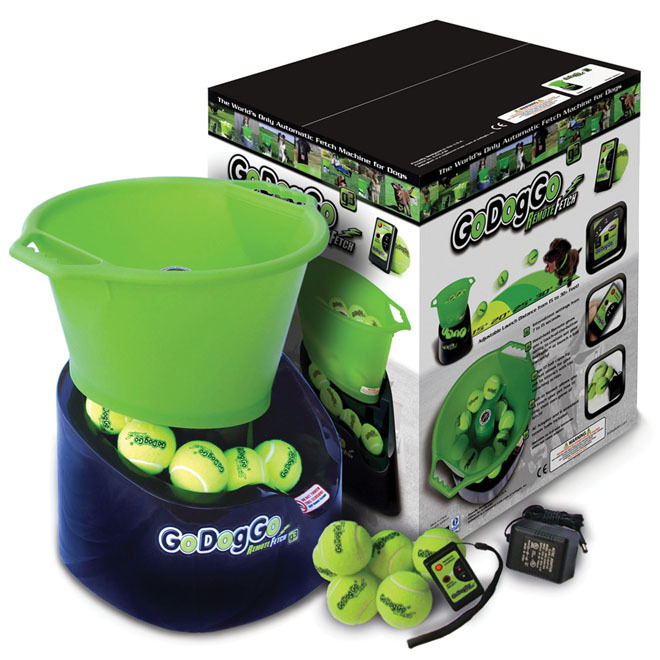 “Games such as the iFetch and GoDogGo become more fun when the dog can drop the ball back into the machine without help. To teach this you need only your voice, your hand and perhaps some tasty food treats (depending on your dog’s personal motivation). Begin using only one ball at a time and set it to the lowest distance. Fire it out and when your dog picks it up, encourage him back to you and hold out an open palm. Wait for your dog to drop the ball into your hand. Say ‘yes’ enthusiastically and place the ball back into the device for it to fire again. It doesn’t matter if you are far away from the iFetch to begin with; you will very slowly move closer as the game goes on. For most dogs the launch is reward enough; for others you may need to offer food to get them to drop the ball. Don’t engage in any form of tug or attempt to pull the ball from your dog’s mouth, as this can result in a totally different game, even more fun than the retrieve! Sit or kneel close to the machine and hold your hand near to the opening where the ball goes. With each successful retrieve and drop to the hand, move your palm closer and closer. Once you are getting a reliable drop, hold your hand directly over the machine and quickly remove it as your dog drops – the ball will drop into the machine and you can go crazy with praise and ensure it fires out again quickly. 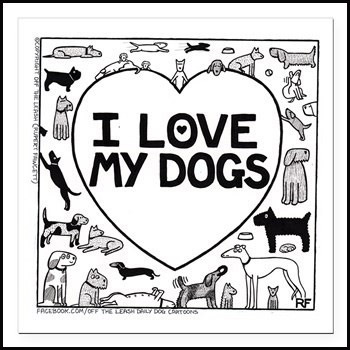 Repeat this until your dog gets the point. 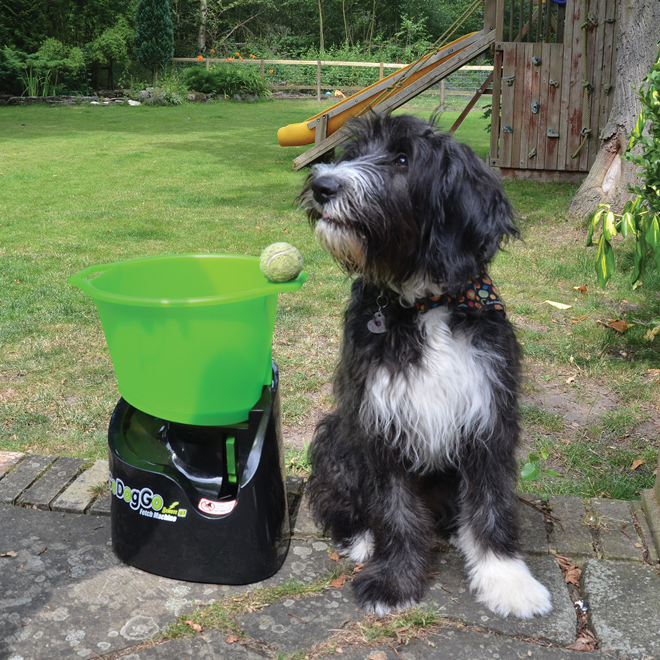 Have you ever used a gadget to help train your dog? We’d love to hear about your experiences.